A.R. 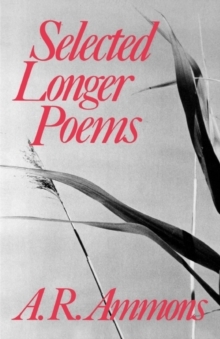 Ammons produced some of the twentieth century's most innovative and enduring poetry, collected here for the first time in its entirety. 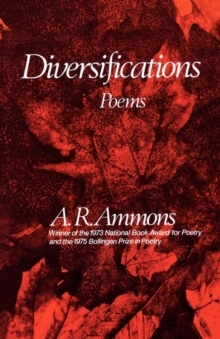 Volume I follows Ammons's development through his National Book Award-winning Collected Poems 1951-1971 and his daring work of the 1970s. 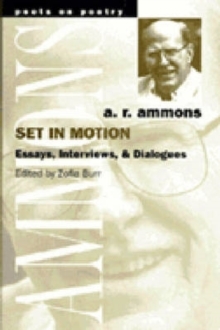 The second volume rounds out Ammons's rich middle phase and startling later work, including the posthumously published Bosh and Flapdoodle. The Complete Poems of A.R. 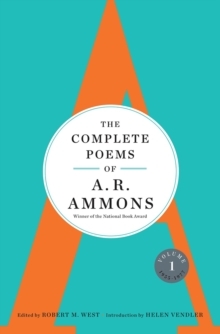 Ammons offers authoritative texts of every published poem and includes over one hundred previously uncollected poems by "unquestionably among the best-loved poets of our time" (David Lehman).